Tickle your brain and test your Bible knowledge with these fun and challenging word searches, Bible boggles, quizzes, scrambles, and codes. 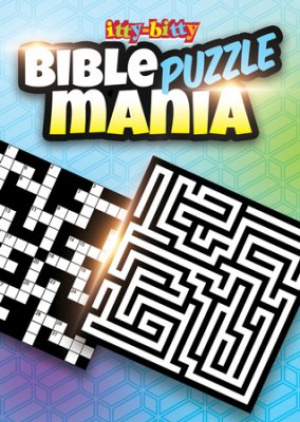 It's Bible Puzzle Mania at its best. For pages 10 and up. Itty Bitty: Bible Puzzle Mania by Warner Press Kids was published by Warner Press in July 2016 and is our 6961st best seller. The ISBN for Itty Bitty: Bible Puzzle Mania is 9781593178758. Be the first to review Itty Bitty: Bible Puzzle Mania! Got a question? No problem! Just click here to ask us about Itty Bitty: Bible Puzzle Mania. What books are in this pack? 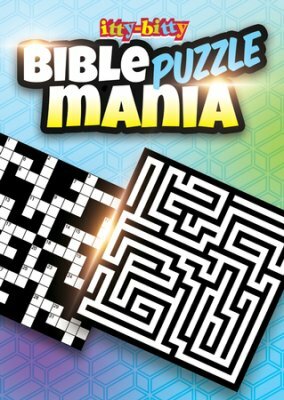 A:This is all the same book, Bible Puzzle Mania, in a pack of 6. Thank you for using the Q&A Forum.